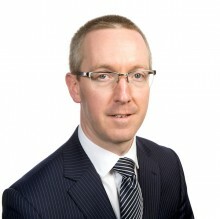 Stephen advises a wide range of clients on mergers and acquisitions, private equity investments and joint ventures. His recent experience includes acting for the Portsmouth Supporters Trust on the sale of Portsmouth Football Club to Tornante LLC and for City Football Group Limited on Manchester City’s US joint venture with Goals Soccer Centres Plc. He regularly advises national sporting governing bodies on constitutional matters.